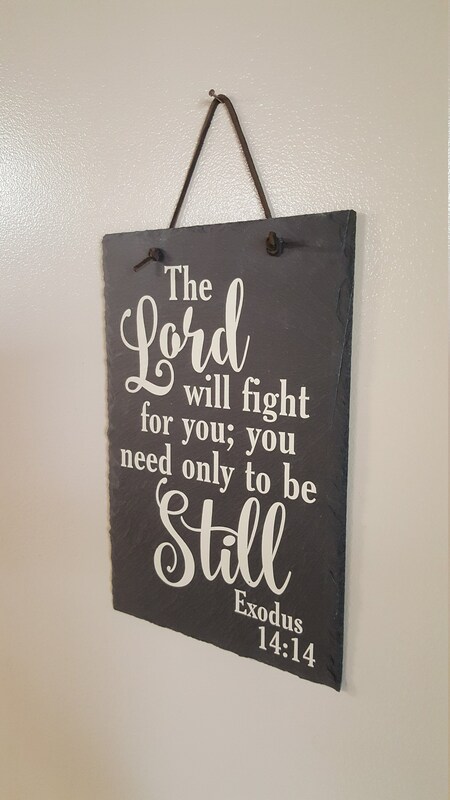 "The Lord will fight for you, you need only to be still". 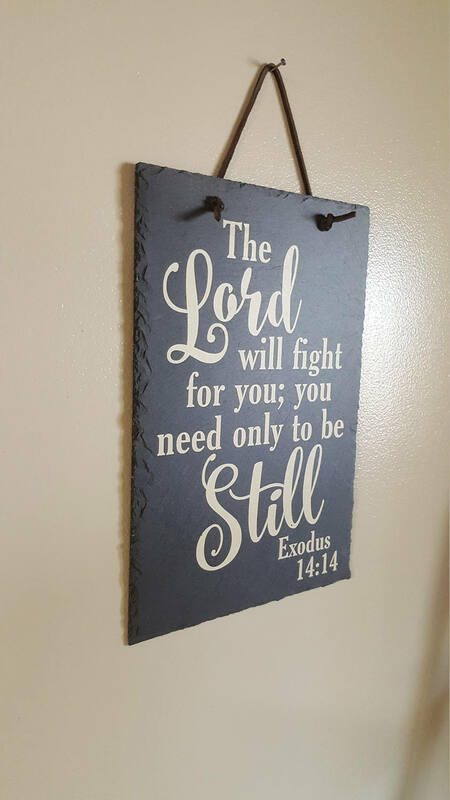 What great encouragement can be found in this simple Scripture sign. 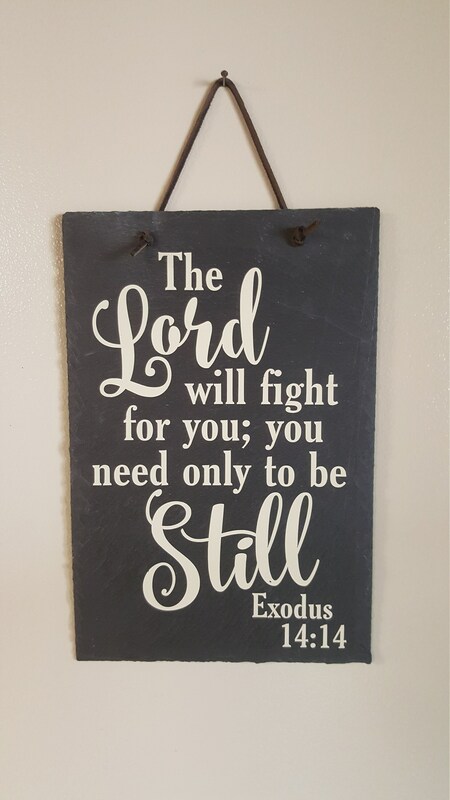 A perfect addition to any Christian decor. 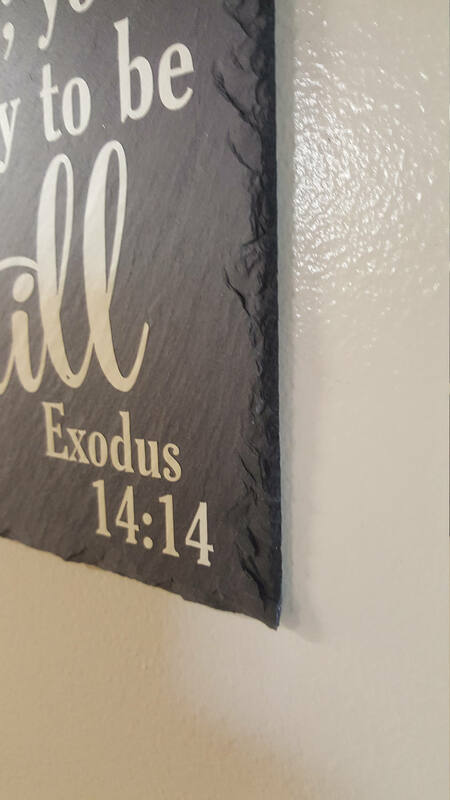 Our slate sign features Exodus 14:14 and reminds us that the battle belongs to The Lord. 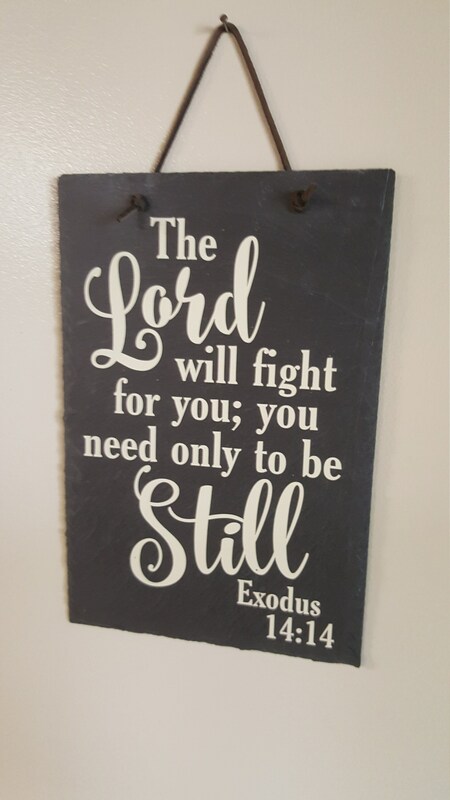 We do not have to fight, but only trust. This hanging sign is perfect for any Christian home. We believe it offers encouragement for those who find themselves in a hard battle. And face it, we all do from time to time. Our hanging sign comes complete with a leather lace for hanging. It also has four small rubber pads on the back to protect your wall. To view our other slate signs, please go to the following link.